Analytics has been around for quite some time now. Even during World War II, it proved critical for the Allied victory. Some famous examples of allied analytical activities include the decoding of the enigma code, which effectively removed the danger of submarine warfare, and the 3D reconstruction of 2D images shot by gunless Spitfires, which helped Intelligence at RAF Medmenham eliminate the danger of the V1 and V2 and support operation Overlord. Many of the analytical lessons learned at that time are now more relevant than ever, in particular those provided by one of the great victors of WWII, then Prime Minister, Sir Winston Churchill. The phrase “I only believe in statistics that I doctored myself” is often attributed to him. However, while its wit is certainly typical of the Greatest Briton, it was probably a Nazi Propaganda invention. Even so, can Churchill still teach us something about statistical analyses and Analytics? A good analytical model should satisfy several requirements depending upon the application area and follow a certain process. 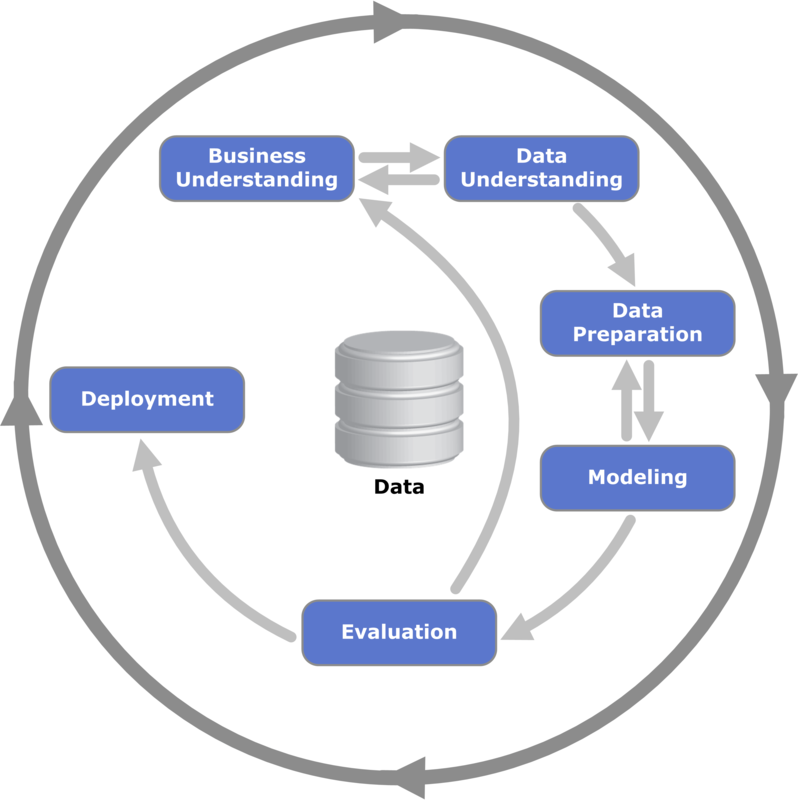 The CRISP-DM, a leading methodology to conduct data-driven analysis, proposes a structured approach: understand the business, understand the data, prepare the data, design a model, evaluate it, and deploy the solution. The wisdom of the 1953 Nobel Prize for literature can help us better understand this process. Any analytics project should start with a business problem, and then provide a solution. Indeed, Analytics is not a purely technical, statistical or computational exercise, since any analytical model needs to be actionable. For example, a model can allow us to predict future problems like credit card fraud or customer churn rate. Because managers are decision-makers, as are politicians, they need “the ability to foretell what is going to happen tomorrow, next week, next month, and next year… And to have the ability afterwards to explain why it didn’t happen.” In other words, even when the model fails to predict what really happened, its ability to explain the process in an intelligible way is still crucial. In order to be relevant for businesses, the parties concerned need first to define and qualify a problem before analysis can effectively find a solution. For example, trying to predict what will happen in 10 years or more makes little sense from a practical, day-to-day business perspective: “It is a mistake to look too far ahead. Only one link in the chain of destiny can be handled at a time.” Understandably, many analytical models in use in the industry have prediction horizons spanning no further than 2-3 years. There is a fairly large gap between data and comprehension. Churchill went so far as to argue that “true genius resides in the capacity for evaluation of uncertain, hazardous, and conflicting information.” Indeed, Big Data is complex and is not a quick-fix solution for most business problems. In fact, it takes time to work through and the big picture might even seem less clear at first. It is the role of the Business Analytics expert to really understand the data and know what sources and variables to select. 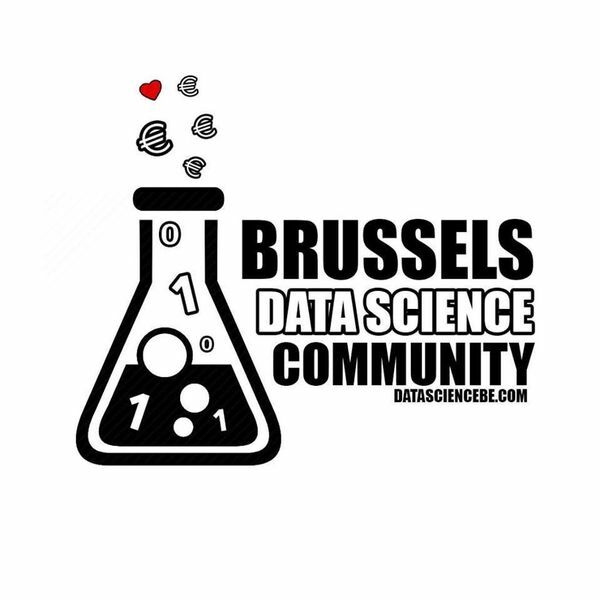 It is so nice to write this page on the launch of the first European data science bootcamp that will start this summer in Brussels. This initiative will boost the digital transformation effort of each company by allowing them to improve their data skills either by recruiting trainees and young graduates or transforming existing BI teams to become experienced business data scientists. Intense 5+12 weeks approach to focus on practical directly applicable business cases. The content of this bootcamp originated from the Data Science Community. Following the advice of our academic, innovation and training partners we have decided to offer a unique hands-on 5 + 12 weeks approach. We call the first 5 weeks the Summer Camp (starts Aug 16th). The participants work onsite or remote on e-learning MOOCs from DataCamp to demonstrate their ability to code in Python, R, SAS, SQL and to master statistical principles. During this period experts put all their energy into coaching the candidates in keeping up the pace and finishing the exercises. All the activities take place in our training centre located in the European Data Innovation Hub. -> If you are a young graduate you can expect to be contacted by tier one companies who will offer you a job or traineeship that will start with the participation to the datascience bootcamp. 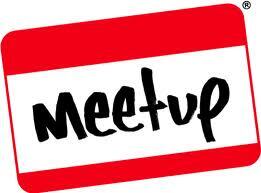 The European Data Science Bootcamp starts September 19th. During a 12 week period – every Monday and Tuesday – participants will work on 15 different business cases presented by business experts from different industries and covering diverse business areas. Each Friday, the future data scientists will gather to work on their own business case, with coaching by our data experts to achieve an MVP (Minimum Viable Product) at the conclusion of the bootcamp. Delivering strong experienced business data science professionals after an intense semester of hands-on business cases. Companies are invited to reserve seats for their own existing staff or for the young graduates who have expressed interest in following the bootcamp. Please reserve your seat(s) now as, this bootcamp is limited to 15 participants. Please contact Nele Coghe on training@di-academy.com or click on di-Academy to learn more information about this first European Data Science Bootcamp. Here is the powerpoint presentation explaining the Bootcamp. 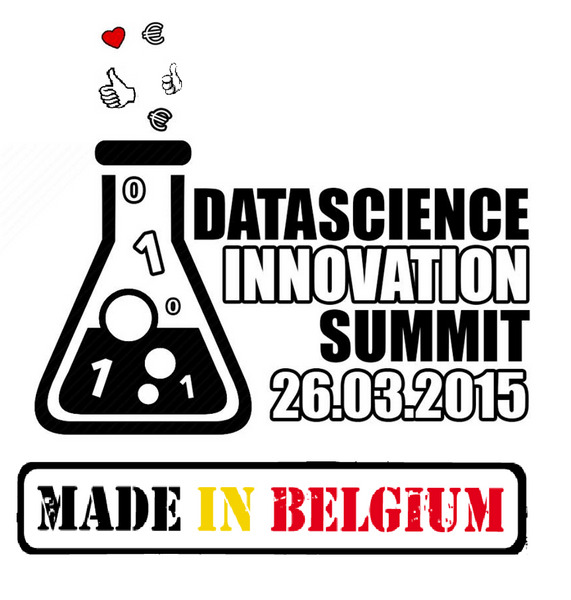 Here is the presentation done by Nele during the Data Innovation Summit. We are looking for a senior data scientist to expand our growing team. You will be working on your dedicated project related to cross-channel advertising. We offer a dynamic job on the 19th floor of the KBC tower in Antwerp, with possibility to be included in the employees’ stock option program. If you have good data science skills, a passion for new challenges and knowledge of big data technology, you are our man or woman! Knowledge about Amazon Web Services (Elastic MapReduce, Spark, etc.) is a definite plus. In a changing market environment, where customer needs are more diverse and customer expectations are more personalized, KBC group wants to optimally use the growing “data footprint” of the market to become more customer centric and become a reference in data analytics. Ultimately, we aim to transform our business into a data driven group. KBC therefore wants to attract capabilities that are highly advanced in exploiting, analysing and modelling data. Louvain, with regular trips to other KBC headquarters internationally. You have finished your Master’s degree or PhD in Mathematics, Applied Science, Computer Science, Statistic, Physics, Econometrics, Actuary, or comparable field. Our ideal candidate is passionate about working with data, professionally or in leisure time. SQL, OLAP, JSON, XML have no more secrets for you. You are able to manage and analyse large data sets with analytic rigor by using statistical methods such as Exploratory data analysis, Bayesian statistics, Probability Theory, Regression, Correlation, Monte Carlo, hypothesis testing. You are familiar with programs like Python/R/SPSS, Web scraping, Java, .NET, C#. 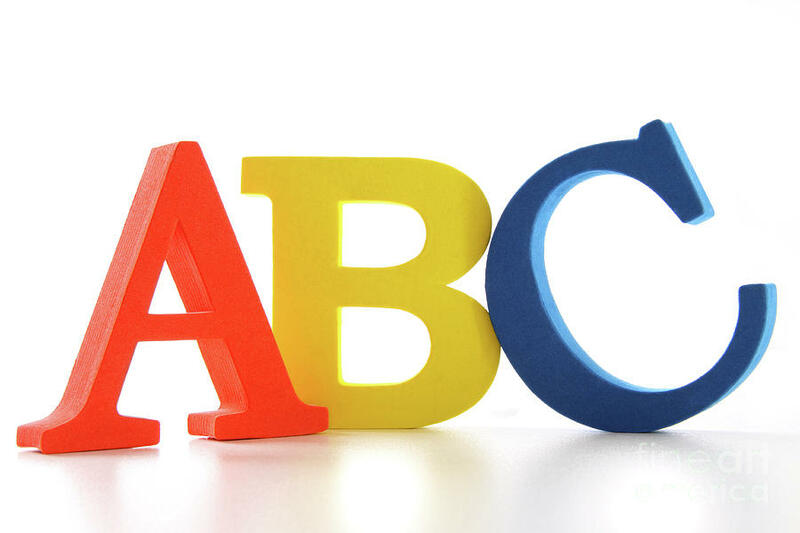 Previous experience or proven interest in machine learning, data/text mining, data ingestion, supervised/unsupervised learning predictive algorithms, classifiers, association, regression, Trees, KNN are a plus. Ideally, you will possess a wide range of technical skills and highly proficient in turning data discoveries into insights for the business. A great drive and You challenge your colleagues and yourself. Constant learning and adapting to a fast-paced environment. Where persistence, innovation, natural curiosity, pragmatic and creativity for problem solving are the key words. 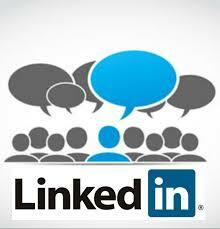 You have excellent communication skills, can clearly present and visualize your work to others. You can clearly communicate the outcomes of complicated analyses. Making complex things simple without dropping the essence of the problem. This unique combination makes you a good team player, but you are also able to work independently on different cases. Apply by following this link.